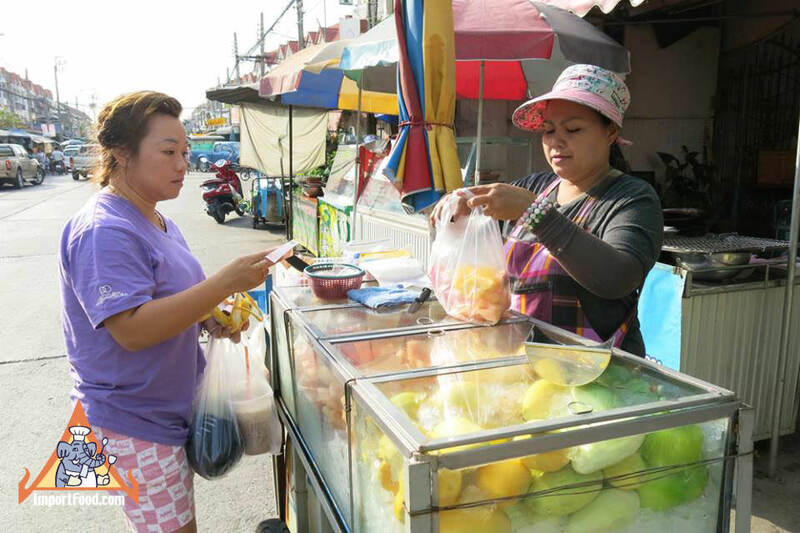 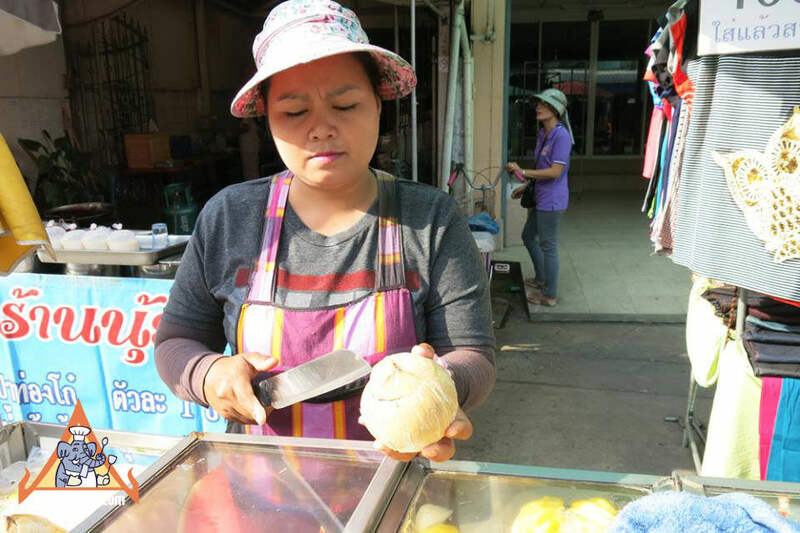 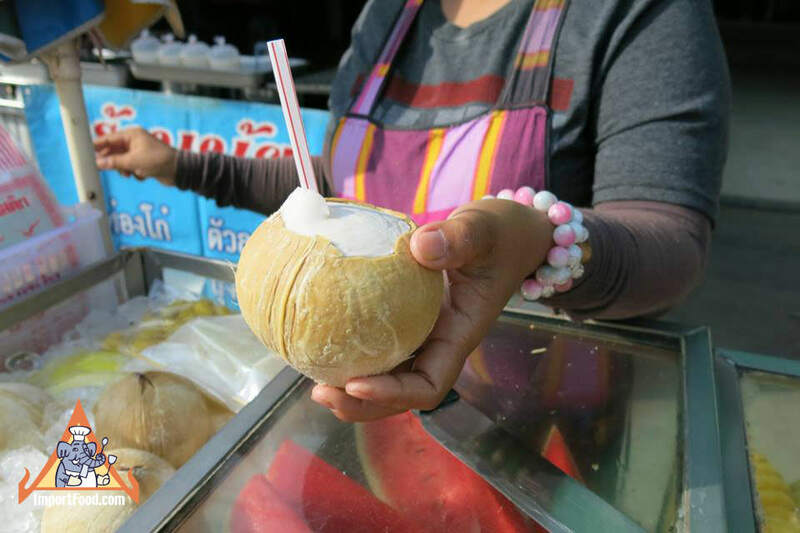 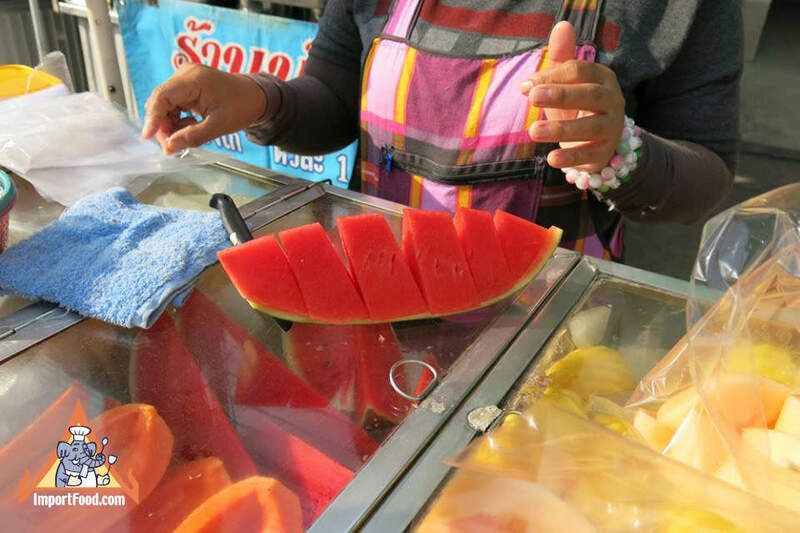 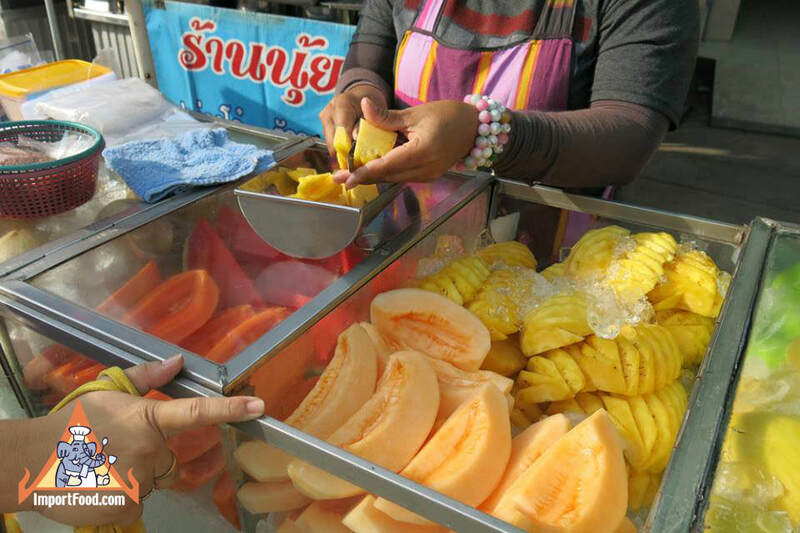 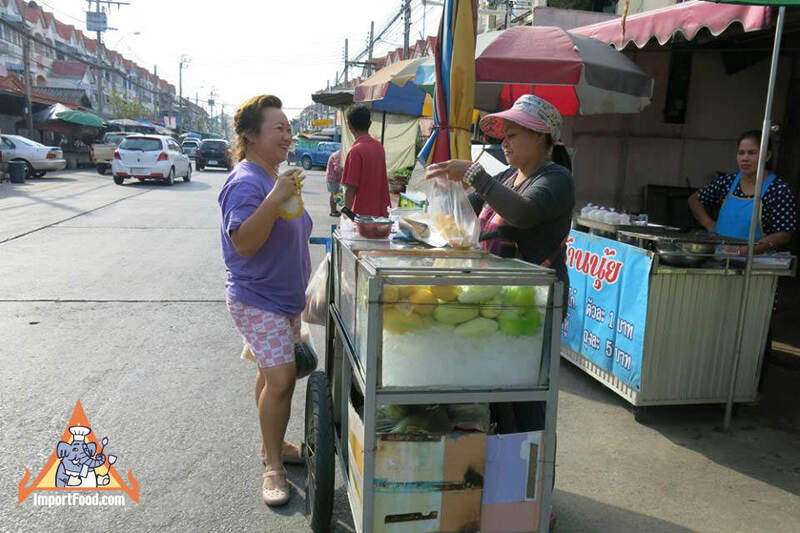 Throughout Thailand, vendors just like this push carts made of glass showing off various fresh fruits which are hand-cut for each customer on the spot. 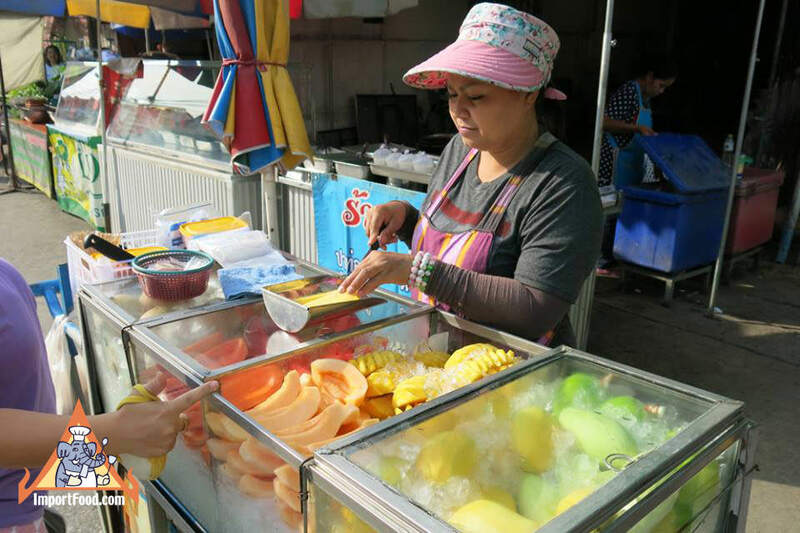 Here's a story we featured several years ago about a bicycle cart with similar fresh fruits on display. 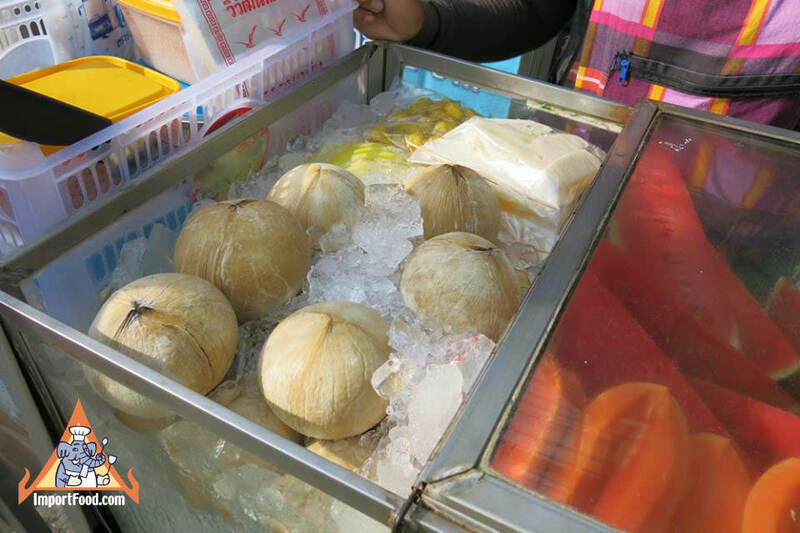 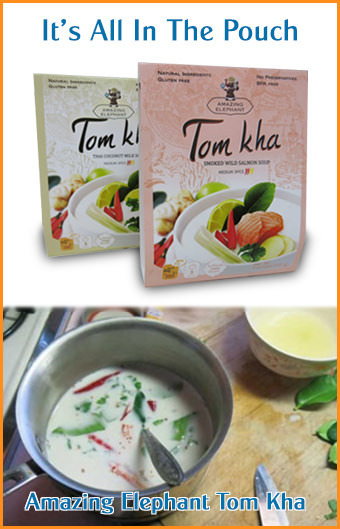 Order whatever you'd like and walk away with a healthy natural snack.